Let it simmer a bit and it’s ready! Serve with sour cream, shredded cheese, and for extra flavor, green onions. 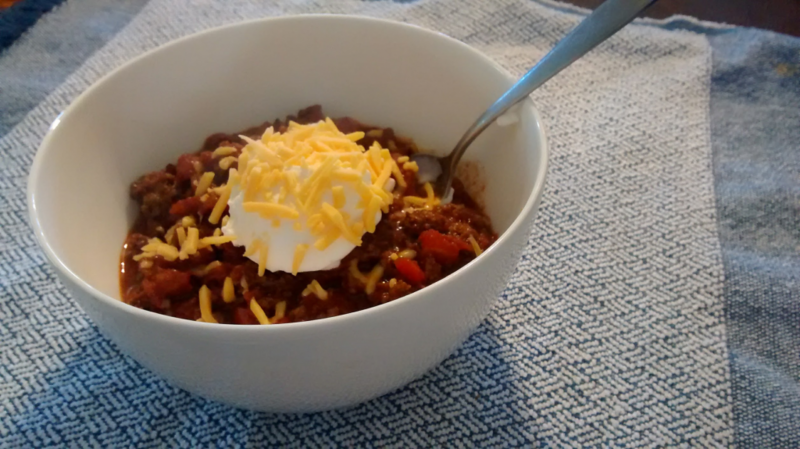 I like my chili hot, so I put a generous amount of chili powder, with less cayenne (a little goes a long way). Err on the side of too little as opposed to too much, and just slowly add more seasoning until it’s just right. Of course, you could always buy pre-packaged chili seasoning, but it’s more expensive and might have some additives you don’t care to have in your chili (sugar). 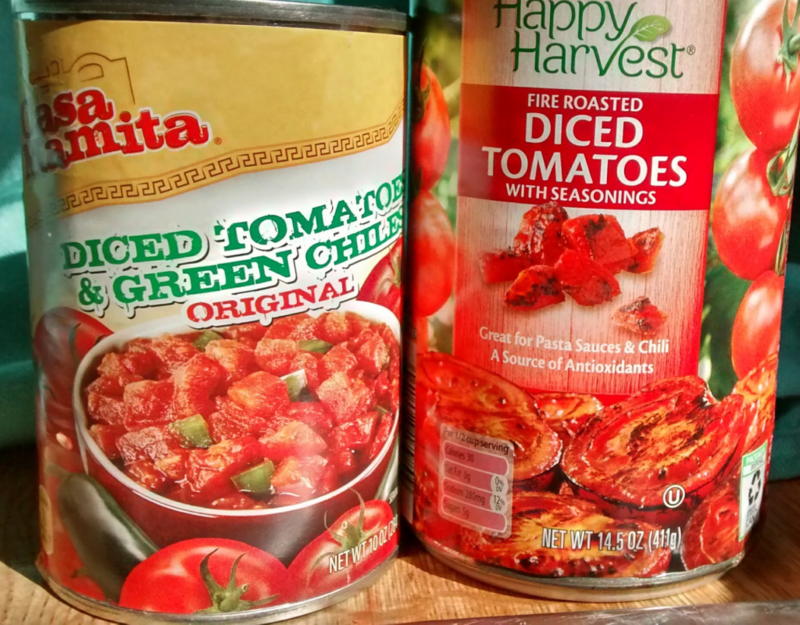 You can also add more or less tomatoes depending on if you like your chili more meaty or less.